The popularity of bobblehead dolls may have started with the likenesses of famous athletes, or renown music groups, such as the Beatles, but the phenomena has spread beyond depictions of celebrities and includes customized bobbleheads that show the faces of average people bobbling on top of an undersized body. Today, the typical man or woman gets to enjoy the pleasure of seeing themselves on a bobblehead and can delight and amuse their family and friends by giving the dolls as presents or gifts. Bobblehead dolls go back over 150 years, but came into prominence in the 1960s, when Major League Baseball started to produce dolls with the images of some of their star players. Fans loved looking at a doll that depicted their favorite player, and the shaking head that kept bobbling when it was touched made the doll fun to interact with. As time passed, manufacturers began making dolls with the images of other famous people as well as those of animals, such as popular breeds of dogs. Purchasers loved having dolls that represented their pets or favorite cultural figures. Another reason people seem to love bobbleheads is that they can take the dolls with them anywhere they go. Some people enjoy putting the dolls on the dashboard of their car and watching the heads bobble as they drive. More recently, bobblehead lovers have been given a new option: rather than buying dolls already made that show famous people or types of animals, they can order customized bobbleheads that depict their own faces. 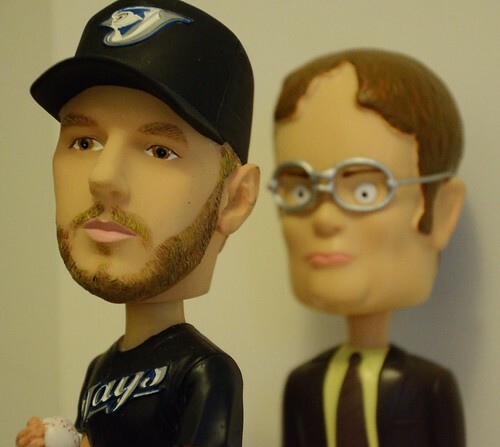 This has added to the bobblehead’s popularity, since the average person can now keep a doll with his image, or that of a friend or loved one, in his home, or take it with him when he travels. Obtaining customized dolls is simple and straightforward. The buyer sends in a certain number of headshots to the customizing company and lets them do the rest. Soon a unique and striking bobblehead, or a set of bobbleheads, with a very recognizable face or faces will arrive in the mailbox. The enduring popularity of bobblehead dolls shows no signs of abating. People just can’t seem to get enough of these amusing and playful novelty items. The wide variety of choices people have today, such as the option of customizing a doll to depict their own face, makes it almost certain that bobbleheads will continue to be a fun and entertaining part of the cultural landscape for years to come. Nick Walz is an active blogger and writer who likes to share his advice and tips to the online community. Nick has become fond of bobbleheads ever since he was a kid at the ball games. You can contact him on Twitter @Nick_Walz.